How Do You Solve a Problem like Wittenoom? The fact that Wittenoom is buried deep in the Hamersley Range in the remote Pilbara region, more than 1,400 kilometers from Perth, makes the devastation wrought by years of asbestos mining a low priority for WA politicians; after all, until they are relocated, the three landowners still living in the town have little, if any, political clout. Under the draft WA legislation, properties and land will be purchased at a total cost to the WA taxpayers of $2-$3 million. Measures to dissuade future visitors  Wittenoom seems to have a peculiar attraction for those looking for unusual photos for social media platforms  include the demolition of remaining buildings, the removal of roads and the erection of new signage warning of the asbestos hazard. 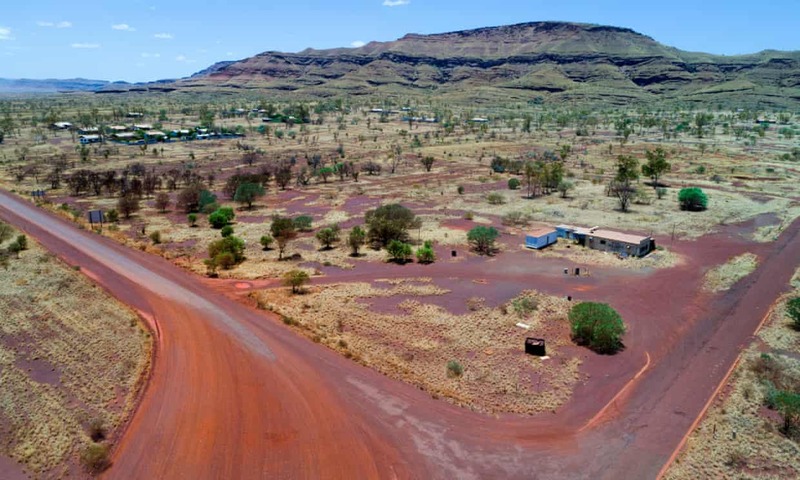 Seventeen thousand kilometres northeast of Wittenoom, the residents of former asbestos mining towns such as Asbestos and Thetford Mines, Quebec also live amidst mountains of mine tailings containing up to 40% asbestos. Unfortunately for them, the prospect of relocating residents and shutting down their towns is not an option. Communities in former South African asbestos mining towns like Kuruman and Prieska in the Northern Cape Province also live under an asbestos blight7 as do residents of the Russian monotown of Asbest where mortality rates for cancers of the lung, stomach and colon were statistically significantly higher in Asbest city than in the surrounding region of Sverdlovsk.8 The Australian, Canadian and South African mines were abandoned with damaged human beings and devastated landscapes left behind; any funds provided for the injured or for decontamination came from taxpayers, never from the corporations which created the ecological disasters. Although the Russian mine is still operational, changing patterns of consumption and increasing awareness of the hazards of asbestos exposure are negatively impacting on sales. When the Uralasbest mine finally closes, the once-loyal workforce and supportive municipality within which it operated will  like their counterparts all over the world  be cast adrift and left to fend for themselves. 1 Wittenoom Closure Bill 2019. 2 It is noteworthy that the creation of three million tonnes of waste by the Wittenoom mine was the result of the production of just 165,000 tonnes of blue asbestos fiber. 3 Miners urged to help WA asbestos clean-up. April 8, 2019. 4 Elders demand asbestos tailings at Wittenoom Gorge be cleaned up. February 8, 2019. 5 Indigenous West Australians have highest death rate for asbestos-related disease: study. July 6, 2016. 7 Kazan-Allen L. South Africas Asbestos Crisis. March 12, 2015. 8 In Asbest, Russia, Making Asbestos Great Again. April 7, 2019.